Hurray! Bright and zingy maths help from a series we adore. Maths with added energy. 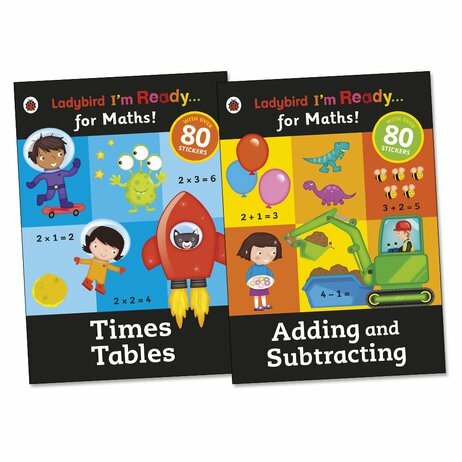 Do you want number workbooks with extra snap and crackle? Well, look no further. Stickers. Amazing colour pictures. Fantastic fun. High-energy learning. All matched to your school routine. Just a few of the reasons why you’ll love this series. It’s a BIG favourite with small learners. Try these books – you’ll see exactly why. Trust Ladybird to get you ahead at school and make it feel like play.